With the wealth of knowledge available at the click of a mouse, the Internet is a wonderful tool that can really help accelerate your career. But have you ever stopped to consider what information about you might be available to others on the Internet? Does your Internet image paint a positive picture that supports your career efforts, or does it sabotage them? If you haven't given it any thought, you had better check to see what is out there. You may not realize it, but private information from your past may not be so private after all, and could be an instant career killer if someone wants to check up on you. In this article, adapted from my new Wiley-IEEE Press book, The Engineer's Career Guide, I will explore some of the dos and don'ts about putting your private and professional information on the Internet, as well as some tips for responsible electronic communications on the job. If you haven't done so already, Google yourself and check every hit. Find out what information is readily available about you. Does it paint a positive image about you, or are there some really embarrassing personal items you may want to get rid of? Many people put very personal information on the Internet in places such as MySpace, YouTube, Facebook, Twitter, LinkedIn, as well as personal web pages which can be crawled by search engines. Have you ever considered who has access to any of your "private" information and how it could be used? Internet Searching of Applicants' Background - Most companies' Human Resources and/or Security departments conduct background checks for potential new hires. Some companies hire independent firms for background checking. However, today's background check is no longer just a phone call to the references on your resume, but rather a full-blown Internet search using several different, powerful search engines. In a matter of minutes, these search engines can pull together all of information available online about you, including pictures, videos, financial, tax records, criminal records and any legal information -- basically any information posted on the Internet that has your name associated with it. Remember, HR has the specific task to check out every individual applying for a job. With that in mind, what do you think they are going to find about you? Is there embarrassing information still floating around on the Internet from past years? Old college party pictures? Personal dating information? Career Tip: Do an Internet search of your name and delete or remove all the improper information immediately, especially if you are interviewing for a job. This information could be sabotaging your chance for getting hired. In all likelihood, there are other people out there with the exact same name as you. Therefore, if HR does a search for your name, it is conceivable that they could find and mistakenly attribute embarrassing information or activities to you. Be prepared, just in case during the interview process you are asked about something questionable (or even illegal) that was mistakenly credited to you. E-mail and Instant Messaging (IM) monitoring - Always assume that your employer is monitoring your e-mail and instant messaging. When in doubt about communicating personal information, don't put it in an e-mail. Many people believe their employer will never look at their e-mail or IM logs, that the company would not store all the e-mails/instant messages sent, so there is no way they could recall anything. Let me warn you that this is not the case. In fact, many companies specifically store all e-mails/instant messages for purposes of legal protection. Lawyers have discovered that often the best way to win cases is by subpoenaing copies of all the e-mails/instant messages sent, which is why that is often the first thing they do when a lawsuit is filed. In ethics cases, especially if harassment is involved, every e-mail/instant message sent to the person being harassed can be recalled and examined by attorneys and authorities. Additionally, e-mails of people who have sent e-mail to the harassed person can be recalled and examined to determine if they have a bearing on the case. Career Tip: Always assume every e-mail/instant message can be recalled at a later date and examined by the company. Inappropriate Websites - Don't even think about visiting inappropriate web sites on your work computer. Some people think they can visit inappropriate websites and simply delete the files, cookies and history and they are safe. Not true. The files are still on your computer's hard drive, but only listed as free space. Your employer can use special software to locate and recover those files. Many companies have a policy that stipulates that when the computer is turned in for repair or upgrades, the hard drives are scanned for any inappropriate material that may be stored within. Many companies have at their discretion the capability to produce a log of every website you have visited on their computers, as well as how much time you spent on each site. This data can be used as cause for dismissal, by supporting the contention that you are failing to do your job. GPS and Blackberries - Many people receive a Blackberry with Global Positioning System (GPS) capabilities from their company when they are out of the office so they can be instantly reached via cell phone, e-mail or text messaging. Do you realize the Blackberries are recording and sending your location at any given time? So if the company really wants to check to see if you are at the conference or business meeting and not out on the beach or golfing, they can. Also where are you going after hours when you are out of town? Would the company approve of these places or would it be grounds for dismissal? Cell Phone and Video Cameras - Many people have cell phones with a camera and video storage capabilities. Are you using these appropriately at work? A simple photo of yourself at work or at your desk could reveal in the background what you are working on and even company secrets. When posting these on the Internet or sending to your best friends, you could be leaking important company information without even realizing it. Instant E-mail Preview - Turn off the preview feature on your e-mail client while you are in a group meeting or giving a presentation. Many people use the e-mail preview feature so they can see if the e-mail they just received is important or if they need to respond immediately. What makes this feature a real embarrassment is when you have your computer hooked up to the conference room projector, you are sharing your desktop during a net meeting or when you are at your desk discussing something on the monitor with several others. The instant preview pops up and, naturally, everyone in the meeting looks and reads it. This can be extremely embarrassing when you receive a very personal E-mail with information never intended for others to see. I have seen some instant previews pop up that all the people in the meeting we able to preview, resulting in quite an embarrassing moment for the recipient. Video Phone Teleconferencing - The new capability that most people are trying to exploit is video teleconference via the camera in their lap top or PC. Remember that in order to collect and transmit the video, it all has to be stored first and reformatted. This means those video teleconferences can all be recalled at a later date. Are you letting them see and record yourself at your best? This brings us to the next topic, using the Internet to your advantage. If you think or know that your employer monitors employees' electronic communications and Web activity, don't put anything inappropriate online, in an e-mail, text message or instant message. If you aren't sure, always compose your messages assuming your communications are being monitored, and that every e-mail you write could be recalled at a later date and the contents examined for appropriateness. And always choose your words carefully, with the knowledge that others might be reading your communiques. We all receive the occasional e-mail that makes us see red. Often, the knee-jerk reaction is to respond immediately -- and in a less-than-cordial fashion. Too often, that kind of correspondence leads to "flame" wars, which are rarely productive. When it comes to e-mail, a good rule of thumb to follow when you have received an inflammatory e-mail is the 24 hour rule. Simply wait 24 hours before composing and sending a response. Most times, after waiting 24 hours, your anger will have passed or at least dissipated to the point that you can compose a well-reasoned and unemotional response. Career Tip: Apply the 24 hours rule when you are angry and tempted to respond immediately to an e-mail. Knowing that people are going to search the Internet to obtain information about you, why not put out there the best and most positive information you have? Let them find you at your best. For example, do you have any information you can put on the Internet showing how you volunteered at a homeless shelter, helped raise funds for food kitchens or charity organizations? How about awards you received from your company or community? Put together an online portfolio showing your many accomplishments, rather than a collage of pics from that great keg party you threw last summer. The key is keep to let people see you at your best versus at your worst. Utilize the controls available to you on the various social networking sites to restrict access to photos and other content that should remain private. But keep in mind that once you post something online, regardless of the security measure in place, you are putting a lot of faith in your online friends not to circulate the content to broader circles. Only you can take control of your online image to ensure that you are viewed in a favorable light -- not only by your present employer but also potential future employers. The key to remember is that Big Brother is watching you 24/7 at work and at home, if you are using company equipment. You must assume every electronic message you compose and send at work can be recalled and examined for appropriateness. All the websites you visit are recorded, and files do not go away just because you hit delete. Companies do extensive Internet searches on people, so all the personal information you have on the Internet is available for them to examine. Conduct an Internet search using your name and find out what others see. Delete off the inappropriate material and replace it with material that will enhance your image. Let people see you at your best and not at your worst when they search for you on the Internet. 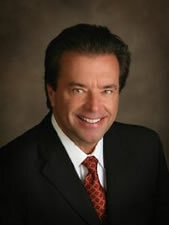 John Hoschette, is an experienced Career Development Coach, Trainer, and Professional Key Note Speaker. Mr. Hoschette's past position at Lockheed Martin and current position as Technical Director at Rockwell Collins have allowed him an acute understanding of all aspects of an engineering career.